If you receive services from Knowsley Council you can expect a review and reassessment of your support needs at some point over the coming months. 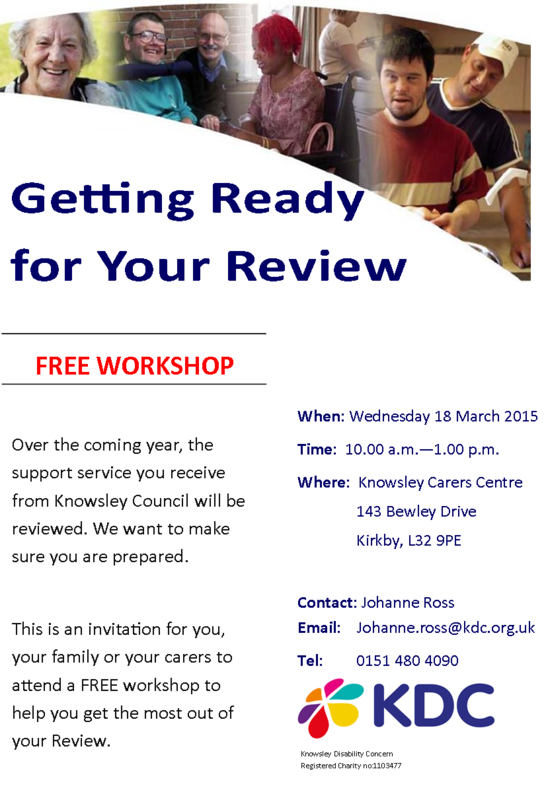 KDC is hosting a special workshop aimed at giving you the tools and information you need to help you prepare and know what to expect from your review. Topics include what your support plan should look like and how your personal budget works.